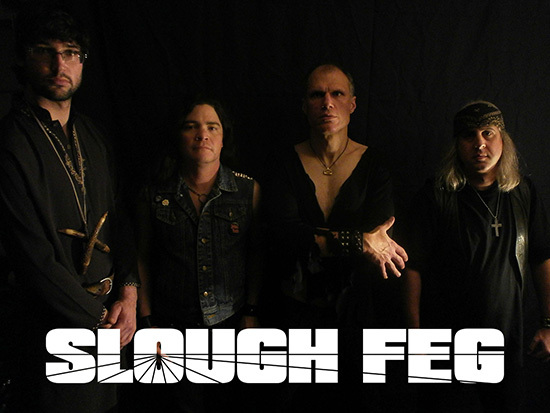 SLOUGH FEG has a style that’s best described as an eclectic mix of Celtic Folk and Traditional Metal peppered with buckets of energy and lyrical depth. 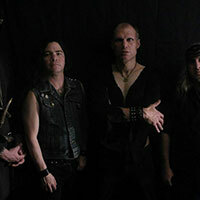 The band, who’s name is derived from a character in ancient Irish mythology, originates from Central Pennsylvania and relocated to San Francisco in 1990 in hopes of resurrecting the ailing ‘true metal’ scene in the United States. The band quickly gained a reputation as, ‘the band San Francisco loved to hate’ by taking a stand against the trends and incorporating stage savagery with strong visual imagery. 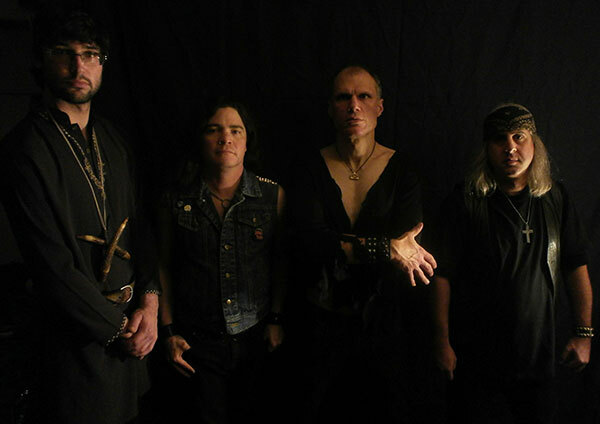 Digital Resistance is out in North America on February 18, 2014 and will see SLOUGH FEG on the road with a few West Coast shows scheduled in March with the guys’ “sister band” Bible of the Devil, from Chicago. The band is hoping to do a short tour of Europe in May/June, and then hopefully to Chicago in July to do the “Ale Horn of Power” Festival. The band produced three demos in the early to mid nineties, which were followed up by a self-produced, self-titled debut CD released in 1996. 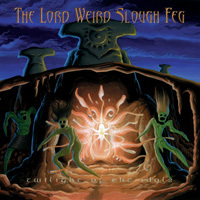 Scoring points for originality in the European underground, they aroused the interest of Dragonheart Records in 1998 and Twilight of the Idols was released in 1999 by the label. 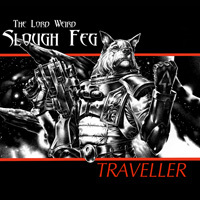 This was followed by the 2000 release of Down Among the Deadmen and Sci-Fi epic, Traveller, in 2003. 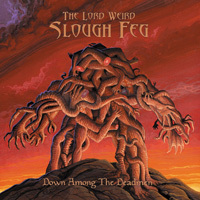 In 2005 the band moved to the Italian label Cruz Del Sur and shortened their name to simply, SLOUGH FEG with the release of Atavism. 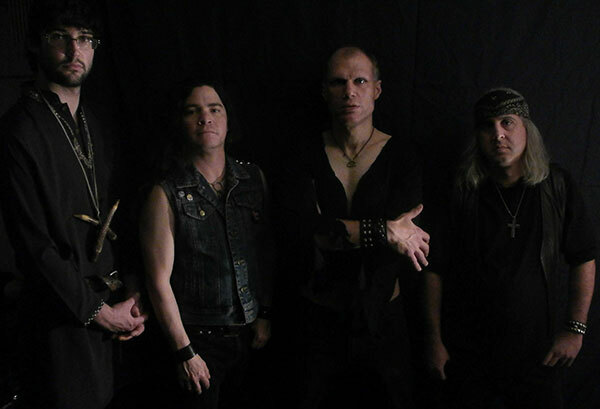 2007 brought the dawn of HARDWORLDER, and a slight change of direction to a ’70′s NWOBHM sound. 2008 saw the release of The Slay Stack Grows, a compilation containing over 30 tracks on 2CD’s, with Ape Uprising! 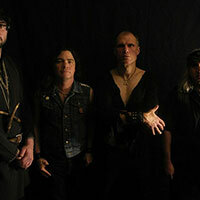 (2009), The Animal Spirits (2010), and the live album Made in Poland (2011) rounding out the rest of the band’s catalog. 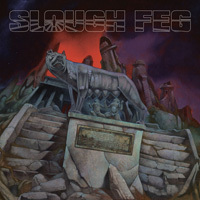 Enter January 2013: Slough Feg is signed by Metal Blade Records who re-released three of the band’s early albums that, until now, were only available as imports. Twilight of the Idols (1999), Down Among the Deadmen (2000), and Traveller (2003) were released as a 3CD box set and made available on their own digitally.